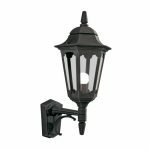 This Elstead Parish 1 light upward outdoor wall lantern in black with clear glass and rated IP44 features simple classic style, with tapered cast wall mount and braced straight arm supporting an upright tapered hexagonal lantern, with stepped window panels, clear glass and top finial. 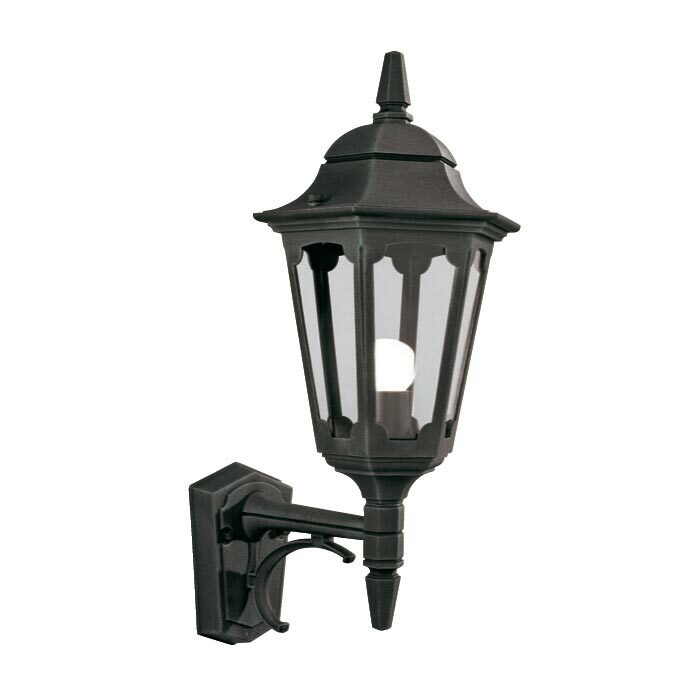 A quality cast aluminium outdoor wall mounted lantern with ten year anti corrosion guarantee. A corner bracket is available to mount this wall light on the corner of a building, please see the EL-C/BKT3. There are matching fittings in the Parish lighting range, please see below. 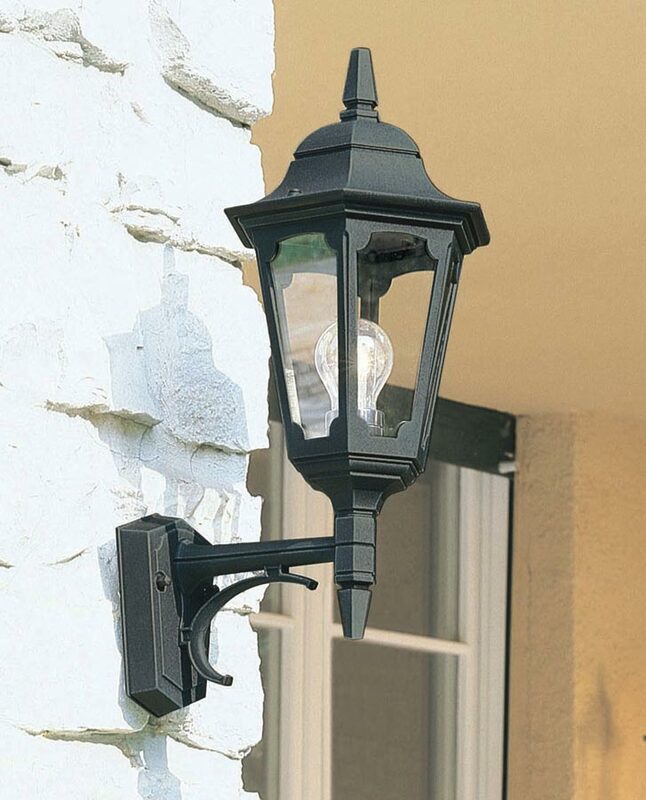 This exterior light is supplied by Elstead Lighting, a British company that specialise in the manufacture and distribution of quality decorative lighting such as the Parish 1 light upward outdoor wall lantern in black with clear glass and rated IP44 you see here.